Colbeck Castle is a massive stone and brick ruin with walls standing to their full original height. 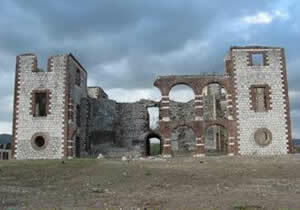 Colbeck Castle is situated in open country about two miles north of Old Harbour, St. Catherine. 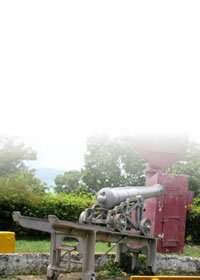 The castle, built about 1680, is currently owned by the Jamaica National Heritage Trust. 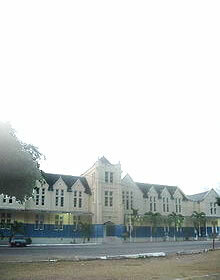 The building is rectangular in shape consisting of four storied tower-like structures at each corner rising to a height of about 40 feet. Defence against the Spaniards was an important consideration for the English settlers in this early period and Colbeck Castle apparently was intended to be a key point in this defence. 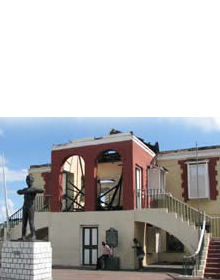 At present the building lies in ruins. However, the remaining walls show the grandeur of the structure. For further information contact the Jamaica National Heritage Trust.